Unlike on-road electric vehicle programs which can be complicated and depend, in part, upon factors outside a utilitys control, non-road programs are less risky and comparatively simple to design, operate, and control. Can you give us some examples of what you are referring to as Non-road EVs? ICF has evaluated more than 60 individual electrotechnologies for inclusion in utility load growth programs, including: material handling equipment (forklifts, cranes, truck refrigeration units), marine/port equipment, airport ground support equipment, locomotives, mining equipment, agricultural equipment, and other applications. Why the differentiation between Non-road and other on road EVs as far as utilities are concerned? Unlike on-road electric vehicle programs which can be complicated and depend, in part, upon factors outside a utility’s control, non-road programs are less risky and comparatively simple to design, operate, and control. What investments do utilities need to make so that Non-road EVs contribute the kinds of carbon and monetary savings that you postulate? ICF finds that a typical utility can increase energy sales by approximately 0.3 percent a year with an investment of only 0.15 percent of annual revenues and an expected ROI of 160 percent (over the lifetime of the equipment and depending on regulatory treatment of incremental margins). At the same time, net site emissions from the affected equipment can be expected to decline 95 percent. Even small scale programs focused on a single technology (such as forklifts or agricultural pumping) can increase energy sales by as much as 0.10 percent with an ROI in the range of 80 percent to 120 percent. Is there an industry sector that’s far out ahead of the others in Non-road adoption? Yes, typically the materials handling sector is an easy entry point into electrotechnology programs. ICF’s materials handling programs promote a subset of technologies relevant in many utility service territories, including: Forklifts, Truck Stop Electrification, Electric-standby Truck Refrigeration Units, Golf Carts, and basic Airport Ground Support Equipment (Pushbacks, Belt Loaders, Tow Tractors, and GPUs). Perhaps the easiest entry point into electrotechnology programs is a forklift program. With the increasing availability of electric forklifts in larger sizes and the improving suitability of electric lifts for outdoor use, there exists significant opportunity to encourage the displacement of diesel and LPG forklifts with electric lifts. And, with the increasing acceptance of rapid-charge technologies (which recharge a forklift in as little as 30 minutes), the ability to keep load impacts off-peak is significantly enhanced. What regions stand to gain the most from non-road electrotechnology adoption? Regions with high levels of manufacturing, wholesale trade, retail trade, transportation and warehousing stand to gain the most from materials handling non-road electrotechnology adoption. However, there is a wide range of electrotechnology applications and opportunities that can be customized for every region’s industry strengths. What is the general process for a utility to determine whether it makes sense to start up a non-road electrotechnology support program? ICF can help utilities determine the feasibility of a successful non-road electrotechnology program through an extensive market study which consists of a Technology Assessment, Market Assessment, Cost Benefit Analysis, and Program Design. ICF has over eight years’ experience in the development of market assessments and potential studies for non-road electrotechnologies and effective implementation of electrotechnology incentive programs for utilities. The Technology Assessment includes development of a list of potential technologies, screening and prioritization of the technologies, and analyzing of market availability and suitability for particular utility service territory. The Market Assessment includes determining the technical potential of each technology, researching of past studies and reports, federal, state and local records, industry group and trade associations’ databases, developing of electrotechnology penetration scenarios, estimating of related infrastructure needs, and evaluating of potential grid impacts and mitigation strategies. The Cost Benefit Analysis involves determining the realistic potential of each technology, including estimation of incentive levels, costs, revenue, margin, load impact, incremental supply costs, geographic distribution system impacts, and emissions impacts and value. Program Design involves developing the business case, staffing model, marketing plan, IT requirements, schedule, entry strategy, alliance opportunities, and an operating model. ICF also includes the option of Program Implementation for utilities who choose not to implement the program internally. This includes field sales and outreach, marketing plan execution, IT/Database Design, call center/sales desk operations, and application/incentive processing. ICF’s support for program implementation also includes coordination with the utility’s economic development group to identify high-value customers, training of equipment dealers regarding the benefits of electric equipment and how to address customer push-back and other barriers, establishment of trade ally support networks, and direct end-user outreach. David Pickles has more than 25 years of experience as a senior executive and utility industry consultant on energy efficiency and new businesses opportunities. 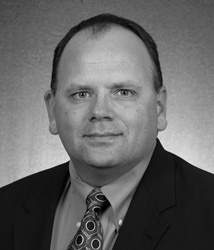 Prior to joining ICF, Mr. Pickles served as director of Navigant Consulting's energy efficiency practice. At PHI Management Consultants, he served as chief technology officer for Honeywell's building information services business. He also served as vice president of marketing, development, and operations for the energy services subsidiary of Central and South West (now AEP) and director of pricing for Synergic Resources Corporation. He began his career on the staff of the Iowa Utilities Board and Iowa Consumer Advocates Office. Mr. Pickles has an M.S. in Regulatory Economics and a B.S. in Economics from the University of Wyoming.